It's the end of an era for Switzerland's notorious secret bank accounts, as the world's historical haven for managing offshore wealth began automatically sharing client data with tax authorities in dozens of other countries, according to Reuters. The information exchange was originally slated for EU countries plus nine other jurisdictions: Australia, Canada, Guernsey, Iceland, Isle of Man, Japan, Jersey, Norway and South Korea, however "Cyprus and Romania are currently excluded as they do not yet meet the international requirements on confidentiality and data security," according to the FTA. Data transfer to Australia and France has been delayed "as these states could not yet deliver to the FTA due to technical reasons," said the agency, adding that it was still lacking information from Estonia, Poland and Croatia. Information exchanged includes account owner names, addresses, country of residence and tax identification information - as well as the account balance, reporting institution and capital income. This allows authorities to investigate whether taxpayers have declared their foreign financial holdings. The annual data exchange will expand next year to around 80 partner states - as long as they meet requirements on confidentiality and data security. Suitability for inclusion is determined by the OECD Global Forum on Transparency and Exchange of Information for Tax Purposes. 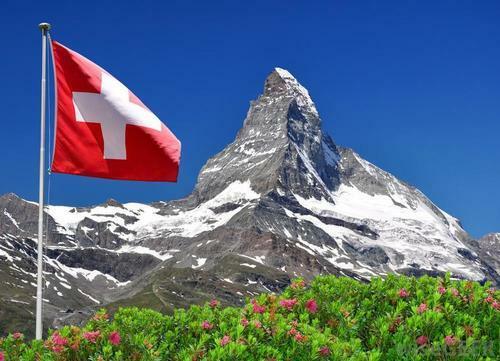 Switzerland's notorious banking secrecy has been eroding for years under international pressure, which has largely cut off the ability for wealthy individuals and families to hide assets in the Alpine safe-haven. As Reuters notes, this puts Switzerland in "fierce competition" with faster-growing financial centers such as Singapore and Hong Kong.